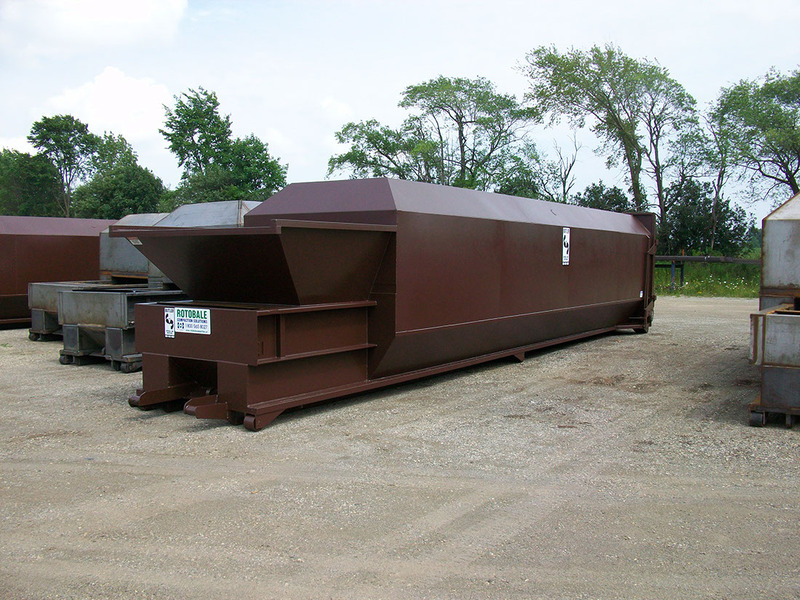 Rotobale Compaction Solutions Inc., a sister company to Butler, is the only baler manufactured in Canada with a PSR approval certificate saving you time and money. The baler is installed with a Manufacturer’s Safety declaration with an optional Level 3 Safety Interlock Switch. 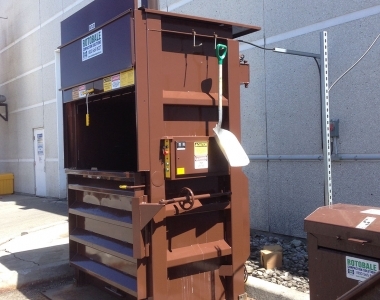 If you have limited space in your facility, Butler will customize a baler that can be used year round “outside” of your facility. 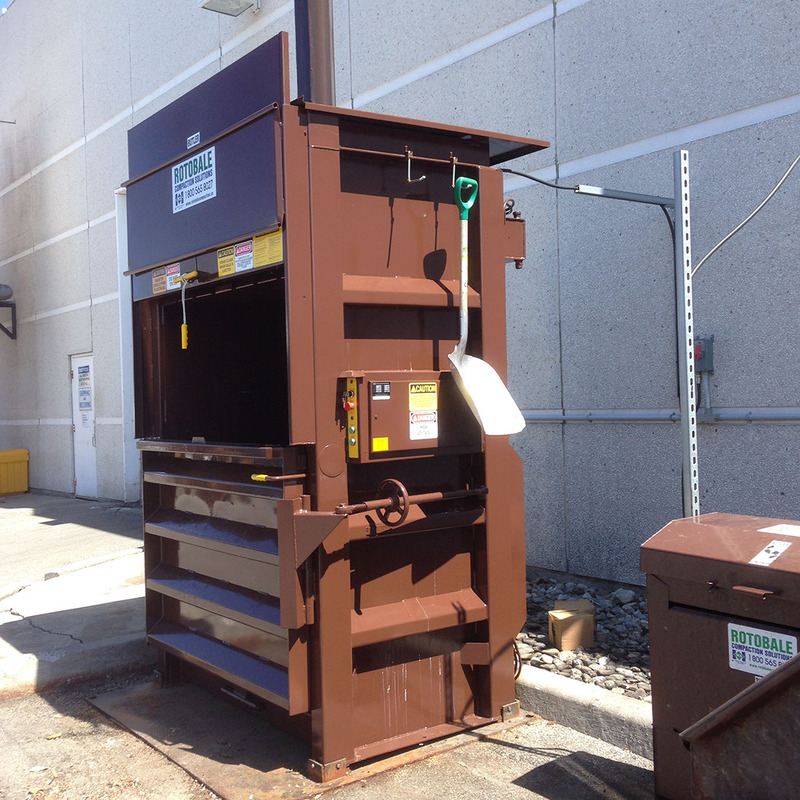 Even with space restrtications you can still bale your cardboard and be paid for the bales. 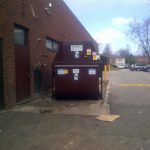 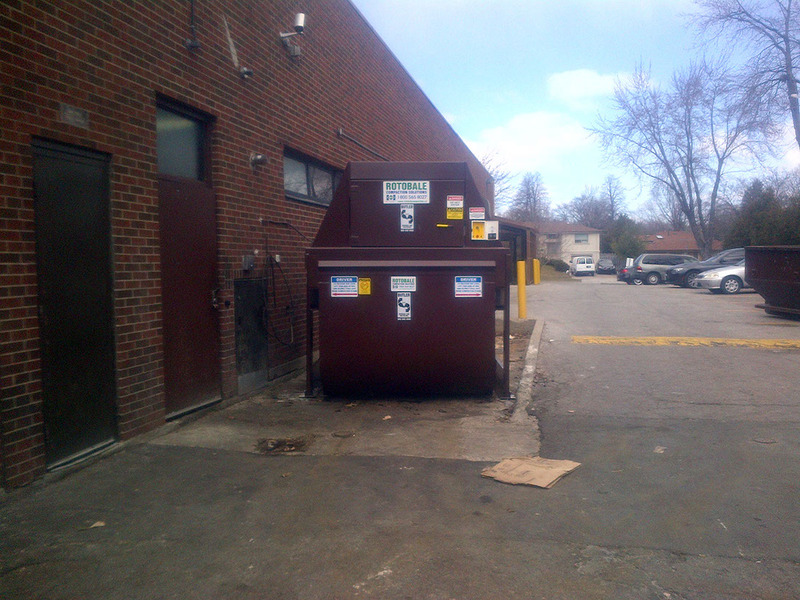 The above cardboard bailer was installed outside solving this customers limited indoor space issue. 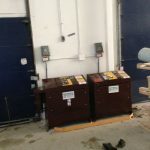 Metal plates are installed on the ground to secure the unit and prevent ground erosion. 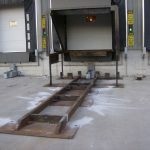 A rain plate is installed on the surface of the unit to make it weather resistant. 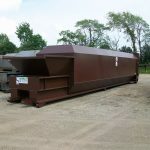 Cardboard bales are stored in a trailer on site to also minimize the space required to store the bales once they are made.